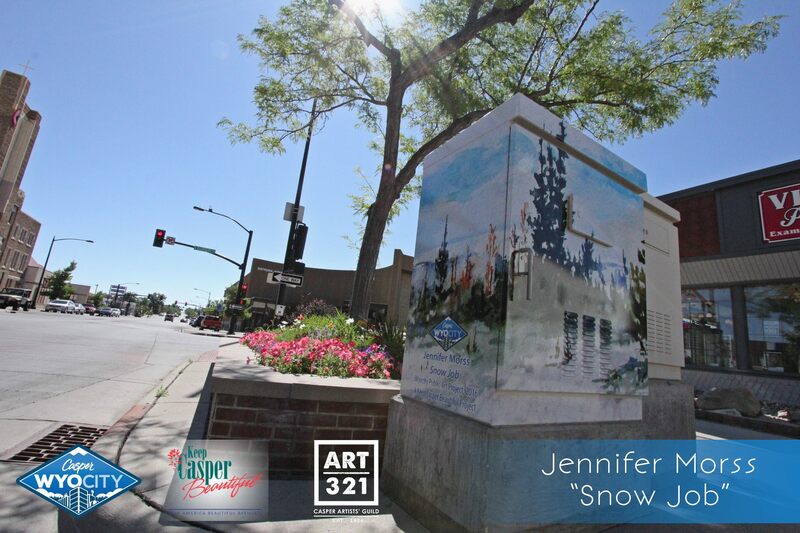 The Keep Casper Beautiful Public Art project is calling all Natrona County artists to submit an original work of art. Suggestions for themes include “rebirth,” “western,” “landscape,” “abstract,” and “photography.” Out of the many submissions, four works will be selected. The winning works will then be transformed into vinyl wraps that will cover four traffic signal cabinet boxes downtown. Keep Casper Beautiful is transforming the ordinary into the extraordinary. 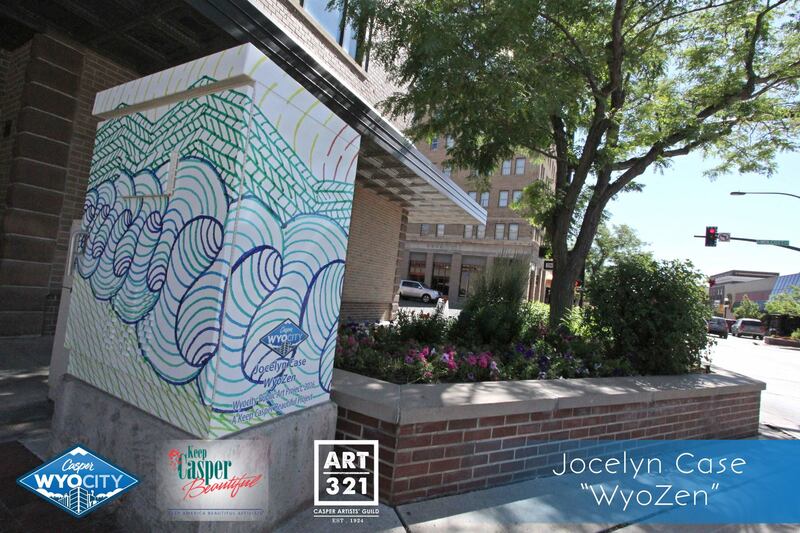 We have wrapped 14 traffic signal cabinets in Casper with original artwork from Natrona County artists. The program started in 2016 and has been expanding ever since. "A View in Casper" by Joyce Rogers. Rogers' work was selected as the people's Choice winner. Located at the NE corner of the intersection of Yellowstone and Ash Streets. The "Fox Den" mural by Tony and Amy Elmore with Fort Atelier, LLC is located on the south western wall of the downtown parking garage (near the public restrooms) on Center Street. The mural was designed in collaboration with Keep Casper Beautiful, the Downtown Development Authority, and stakeholders. The mural committee wanted to communicate how the lines between urban and rural are blurred in Casper. There is a little outside inside every part of Casper.